Winch Quick Connect Power Cable - 90" | WARN Industries | Go Prepared. 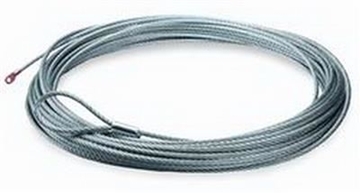 Winch Quick Connect Power Cable - 90"
This Warn Industries Quick Connect Winch Power Cable is used for Warn winches with quick connect plug and connects to front of vehicle. 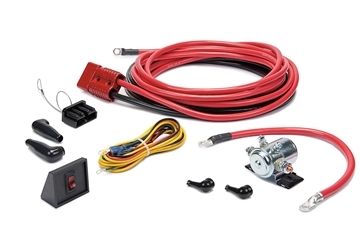 Quick Connect power accessories provide a safe and simple power source for portable winches and booster cables. Plugs allow convenient connection and disconnection to the battery power source. Power connections can be added to the front, rear or both ends of the vehicle. This Warn Industries Quick Connect Winch Power Cable is used for rear mounting of portable winch and connects to battery. This Warn Industries Winch Cable has a 9,000 pound capacity with 0.3125 inch diameter and 150 feet length. This Warn Industries Multi-Mount Winch Mount is used with ZEON 8 and ZEON 10 winches. It is made of steel and comes in black. This Warn Industries ZEON (R) 10 12 volt electric Winch is vehicle mounted and has a pull capacity of 10,000 pound. It has a 80 feet wire rope. Note: This Winch will require winch mount for proper installation.